With graceful form and impeccable credentials, the Di Lusso R4 is the perfect blend of beauty and purpose. Forget traditional wood-burners with protruding handles, and sketch this sculpted icon into your design mock-ups. Icona Futuro... Designed for designers, the Di Lusso R4 epitomises smooth Italian chic. It's got the trustworthy performance of a Vespa and the smooth finish of expresso crema. 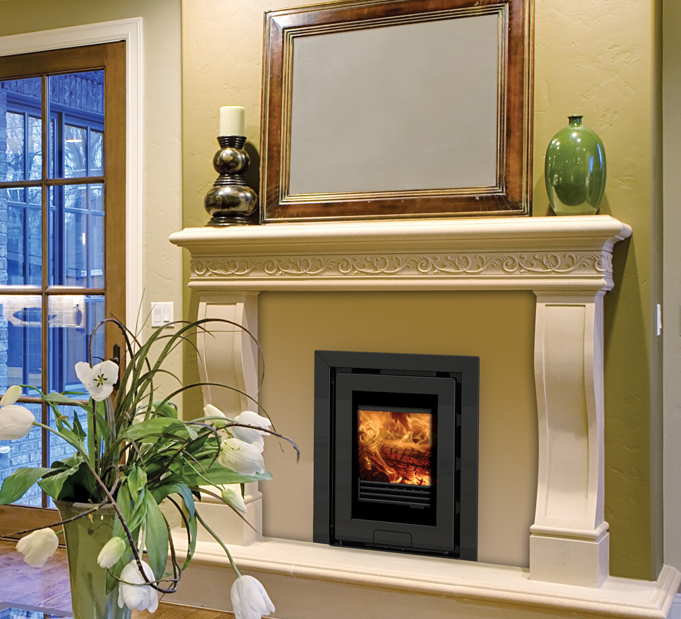 This sleek, flush-to-the-wall stove brings you real flames - in a modern frame. Hidden controls and a wide glass panel provide dramtically unrestricted viewing pleasure. In the stove industry, it's revolutionary - and destined to become an icon of the future.